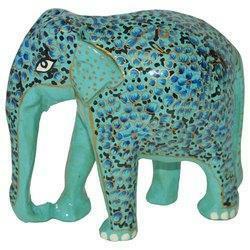 Fine Decorative Paper Machi Elephant Available In Different Designs & Sizes. We make rigid, Eco-friendly and beautiful products using screen printed handmade papers. We can make products in custom designs and colors. Customers can buy from us Handmade Paper Products, which are used to enhance the beauty of any gift or item manufactured for/to gift someone nearest. This dust bin cover is covered with Batik print paper.This cover is sturdy enough to hold the weight of dust bin.Even plain paper can be used to cover this box and further this paper can be printed with brand name and logo. 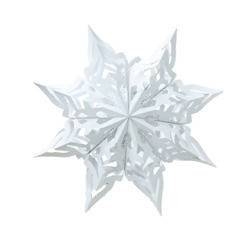 We are counted among the reputed Manufacturers and Suppliers of Decorative Paper Crafts. The Paper Crafts we make available are known for their beautiful designs and vibrant color combinations. Courtesy our brilliant logistics network, we are capable of delivering bulk orders of these within the promised timeframe. Buyers can obtain these at market-leading rates from us. Get in touch with us ! Application: For Making Envelopes, Scrap-booking Designs, Greeting Cards and More.